A mural in downtown Victoria. 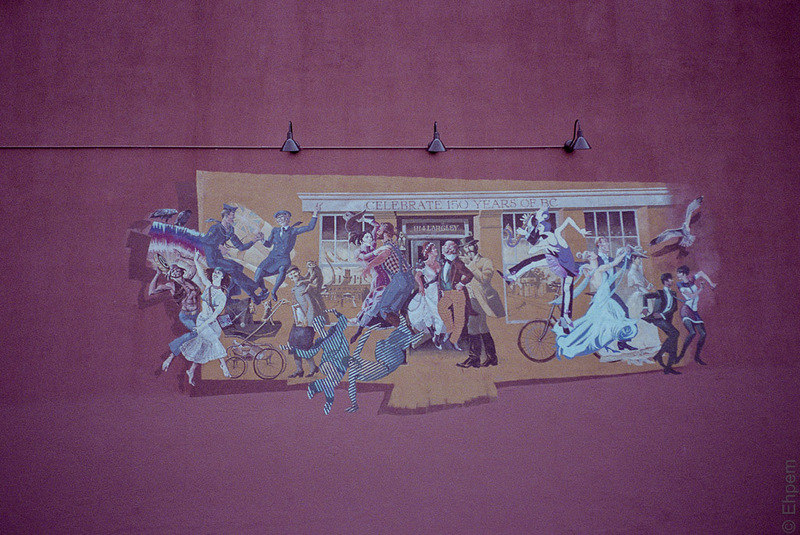 I have a post over at 52 Rolls today (here) and this mural is there too, though partially double exposed. Other places where I have published this mural on film include here and here. This is the tail end of a roll of film loaded to shoot in lower light conditions in the studio. I did not get the colour balance completely right in the outdoor shots – I find it a bit tricky to scan this film. Even so, I like these colours. A previous image posted from this roll is Oxford Foods. Olympus mjuii, Lomography Colour 800. Film developed commercially, scanned with Epson V700 and edited in Lightroom.